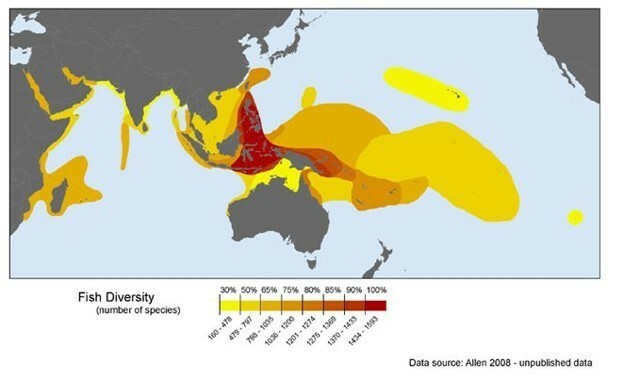 The Coral Triangle occupies 1.5% of the world's total ocean area, but represents 30% of the world's coral reefs. The Coral Triangle is one of the most important reef systems in the world. It covers 132,636 km across six countries; Indonesia, Malaysia, Papua New Guinea, the Philippines, the Solomon Islands and Timor-Leste. It occupies just 1.5% of the world's total ocean area, but represents 30% of the world's coral reefs. It has the highest coral diversity in the world - 76% of the world’s coral species are found here. Fifteen of are endemic to the region, which means they aren’t found anywhere else. It is also home to the highest diversity of coral reef fishes in the world. Thirty-seven percent of the world’s coral reef fish species, and 56% of the coral reef fishes in the Indo-Pacific region live here. But it's not just marine animals that depend on its rich waters. The Coral Triangle directly sustains the lives of more than 120 million people. 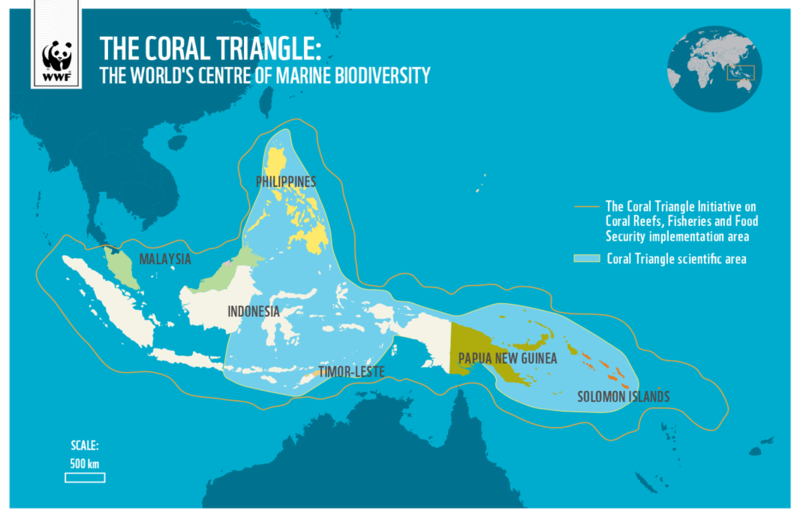 But, like most coral reefs around the world, the Coral Triangle is under threat. The reef is coming under pressure from multiple angles. Demographic and habitat change, rising demand, intensive harvesting and climate change are all impacting the health of the giant reef. IlIegal, unreported, and unregulated fishing is a major threat to its fish stocks, marine ecosystems and overall fisheries sustainability of the area. 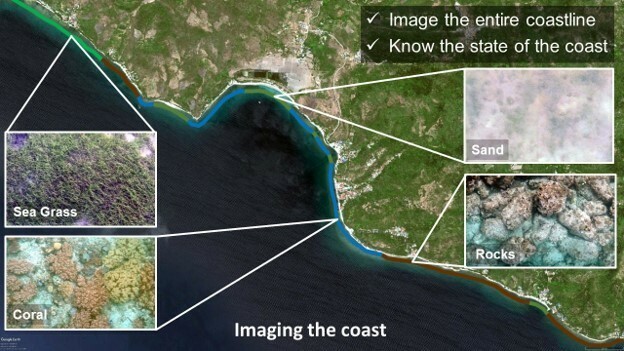 To try to solve the problem, a start-up in the Philippines has built an algorithm to help monitor the Coral Triangle and help the government protect it. Antipara Explorations is one of the winning companies in the World Economic Forum’s competition to find ASEAN’s most innovative start-up. The company uses cameras and sonar, towed behind a boat, to scan the bottom of the sea. The scans are then converted into 3D underwater maps. Its AI system is able to identify objects underwater and monitor change over time - comparing subsequent sets of images to see what’s happening beneath the surface. It’s a much more scientific way of mapping the coral reefs than traditional methods, which involved divers taking photographs and making notes of what they see. The company says it can cover and analyse 25 km of coastline a day, reducing two or three months’ worth of work down to a single day. “Our system is like an aerial drone for underwater,” CEO and founder Aaron T. Hilomen said. The mapping system is currently being used by the Philippine Department of Environment and Natural Resources to map out protected marine areas and all the vulnerable coral reefs. “With the maps they can identify the extent of the reefs, and, aside from knowing where these habitats lie, we can tell the state of them,” adds Hilomen. “We can show and measure how much of the coral is living and how much has died, we can show where illegal fishing is taking place and detect underwater diseases like coral bleaching. This information is then used by the environment agency for management purposes, and already legislation and local laws are changing in response. Hilomen explains: “In the Negros area, we were able to ascertain that they had very good reefs worth preserving, and now the local government is taking steps to turn it into a marine protected area. Fish is a huge source of food for the area, but illegal fishing is a major threat to fish stocks. The system can also be used for catch traceability of its fisheries. “The Philippines is working towards sustainable fisheries and being able to trace when and where fish caught is central to that,” says Hilomen. In 2009, leaders from the six nations launched The Coral Triangle Initiative on Coral Reefs, Fisheries, and Food Security in a bid to sustain their extraordinary marine and coastal resources by addressing crucial issues such as food security, climate change and marine biodiversity. The group recognises that the impact of climate change poses a real threat to the Coral Triangle, and they have developed an action plan specific to the area. The plan requires, amongst other things, putting in place effective adaptation measures for coastal communities, investing in climate change vulnerability assessments, and improving the resilience of coastal communities.